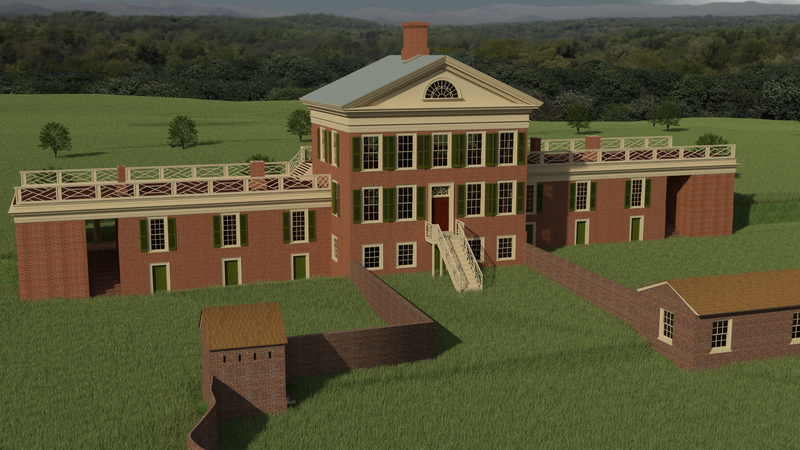 “Rooms beneath the student rooms on the East Lawn”: I couldn’t find a photograph, but the excellent rendering above shows how the sloping elevation of the ridge on which the Lawn is situated exposes access to a basement level beneath the student rooms on either side of Pavilion VI on the East Lawn. These are visible as you approach the Lawn via the alley between the gardens of Pavilions VI and VIII. I distinctly remember a conversation with other students (my memory is they were University Guides, but I could be mistaken) discussing the theory that these anonymous windowless doors were slave quarters, a theory which was dismissed at the time but which appears to be true. “Even in the recent IATH project to create and render 3D models of the buildings, they appear to exist in a vacuum, without outbuildings”: I spoke hastily. 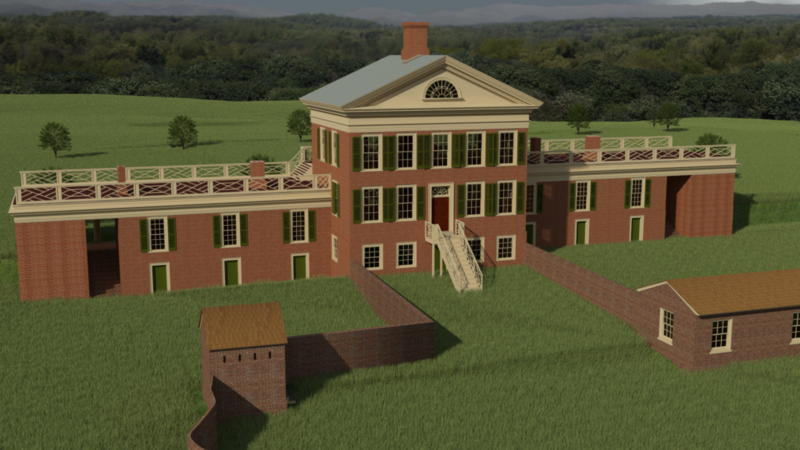 The IATH project in question, the “Jefferson’s University: The Early Life” project, does include renderings of some pavilions in a standalone fashion. But as seen above, for some pavilions a more full representation is provided. Particularly noteworthy is the work that has been done on the Pavilion VI outbuildings, which provides renders and historical context for no fewer than five outbuildings, ranging from Gessner Harrison’s office to a privy to a smokehouse. Also see the page on the Crackerbox, which is described as a combination kitchen and slave residence.